Is design your super power? We are currently seeking a passionate, creative, freelance Interactive Designer to join our expanding digital team. Here at Marvel, one of the most known names in the entertainment business, we recognize the importance of keeping our audience engaged. We are a dedicated and hard-working group that demands perfection, and has a collaborative, open-minded approach to new concepts. The team of interactive designers has the challenging responsibility of giving our users a unique and positive experience while they consume our products and features. In this position, you will be tasked with creating exciting and visually appealing solutions across multiple products and platforms. This is including, but not limited to, websites, apps, original content, marketing assets, print materials, presentations and other digital entities. From concept to implementation, you will consider the users’ needs and the business goals, as well as find ways to update and improve the experience overall. + Understand and work to meet requirements, creative direction and visual brand guidelines. + Design visually striking and robust experiences that highlight our products’ unique content. + Provide pixel perfect mocks and detailed specs/requirements when needed. + Regularly connect with Design Lead to ensure concepts are in-line with overall product design standards and strategies. + Closely collaborate with the development team to ensure designs are properly implemented and interactions look flawless. 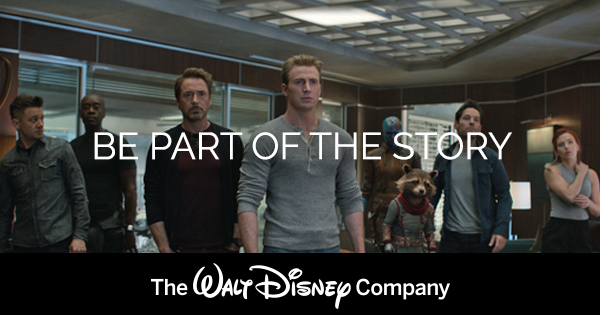 + Help to ensure successful representation of the Marvel brand across all media. + Research and stay informed of current design trends, techniques and best practices. + 3+ years work experience on a product team. + Portfolio showcasing unique, creative concepts and solid experience in designing usable interfaces for web, mobile and app design. + Proficiency in Adobe Photoshop, Illustrator, Sketch, Invision, Microsoft Office. + Strong background in color, typography, iconography, branding, graphic manipulation and layout. + Experience with wire framing and prototyping. + Ability to translate user testing data into practical and logical solutions. + Experience building files for both print and digital. + Organized, resourceful and dependable. + Ability to collaborate with others and contribute to the team, but also to work independently. + Ability to multitask in a busy environment, and turn around work quickly while keeping a keen attention to detail. + Prior experience designing and launching mobile apps. + Working knowledge of After Effects. + Previous experience working in sprints and with JIRA Agile. + Illustration skills are a plus. + Prior experience working within the entertainment industry. + Bachelor’s degree in design or related field.